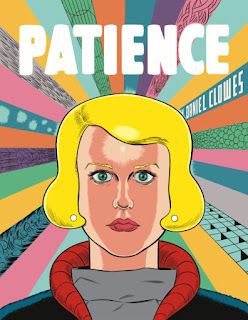 NEGROMANCER 2.0: Daniel Clowes Goes on Tour to Support "Patience"
SEATTLE, WA–Patience is the first all new, original graphic novel from Daniel Clowes (Ghost World ) in over a half-decade, and also the biggest and most ambitious book yet in a storied career that includes multiple Eisner and Harvey Awards, a PEN Award, and an Academy Award nomination. Patience is an indescribable psychedelic science-fiction love story, veering with uncanny precision from violent destruction to deeply personal tenderness in a way that is both quintessentially “Clowesian,” and utterly unique in the author’s body of work. This 180-page, full-color story affords Clowes the opportunity to draw some of the most exuberant and breathtaking pages of his life, and to tell his most suspenseful, surprising and affecting story yet. Detailed info about each stop to come.